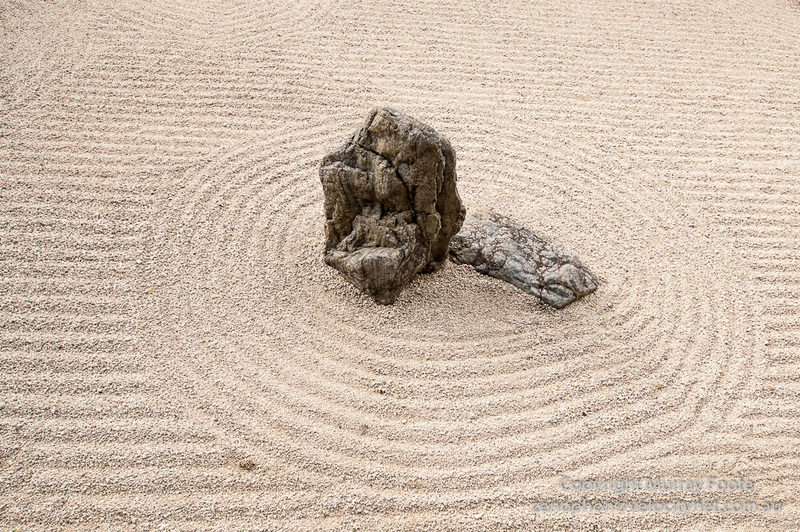 Today I walked the Philosopher’s Path from south (Nanzen-Ji) to north (Ginkakuji, the Silver Pavilion). Eminent Kyoto-based philosopher Nishida Kitaro used to walk it every day in the early 20th century. 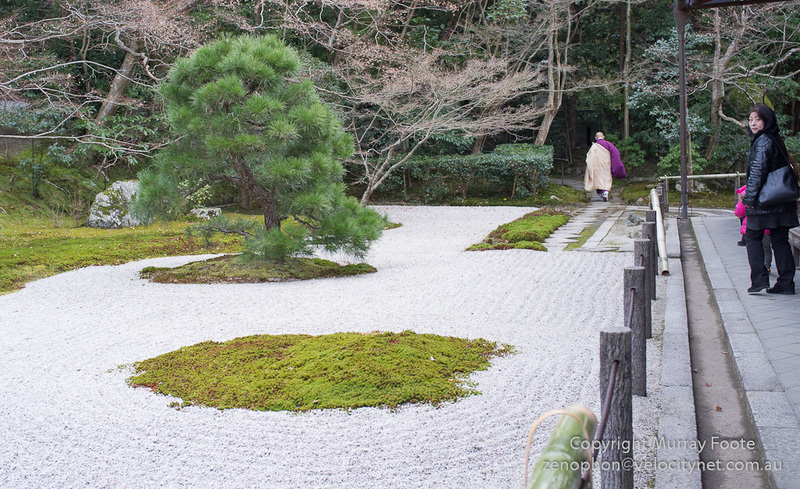 First port of call is the delightful Tenjuan Garden, off the avenue to Nanzen-Ji Temple and part of the complex. The monk is walking up a path to the nearby cemetery. He then conducted a ceremony there with a few people. The cemetery, though not open for public access, includes some graves of eminent people dating back to at least the sixteenth century. There was originally an imperial villa on this site dating back to 1267. 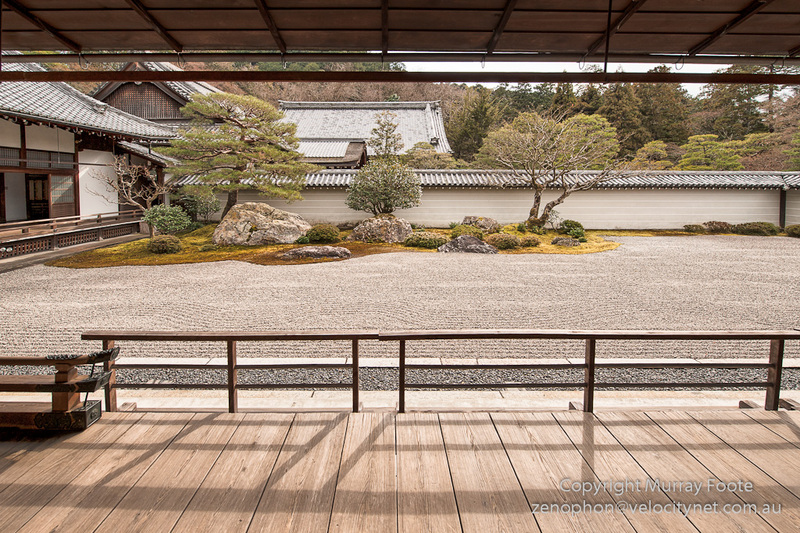 In 1288 the Emperor Kameyama was so impressed by Zen priest Daiminkokushi ridding him of a troublesome ghost that he converted the villa to a Zen temple for the benefit of Daiminkokushi. Kameyama was 10 when he became Emperor in 1259 and he abdicated in 1274 in favour of his 7-year old son. This was a common practice. He retained effective power as cloistered Emperor though real power rested with the Hojo clan at Kamakura. For example, he favoured submitting to Kublai Khan as a vassal but was overruled by Kamakura. Late in life he lost an imperial power struggle to his elder brother and retired to a Zen monastery. His choice of Zen rather than Classical Buddhism was influential in changing the preferences of the aristocracy. The Tenjuan Temple burned down in 1447 and again during the Onin War of 1467-1477. It was not reconstructed until around 100 years later. Tenjuan Garden dates back to 1337 though parts seem to have been remodeled in later years. 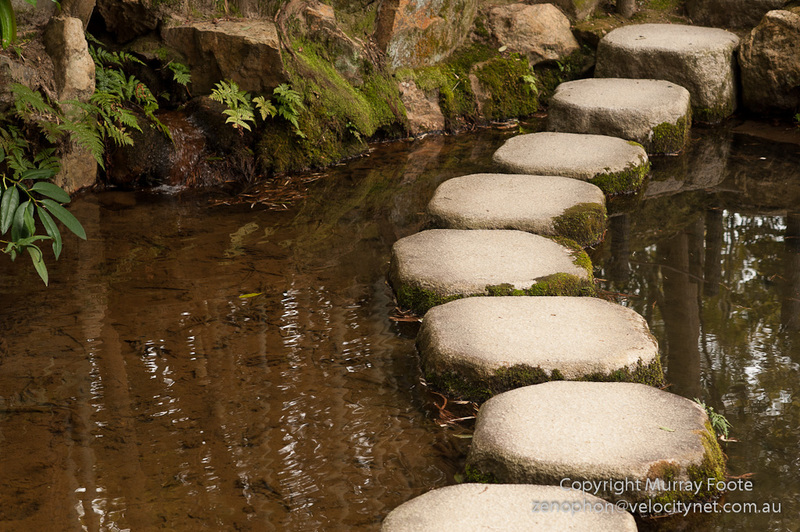 These steps across a pond probably date back to 1337. 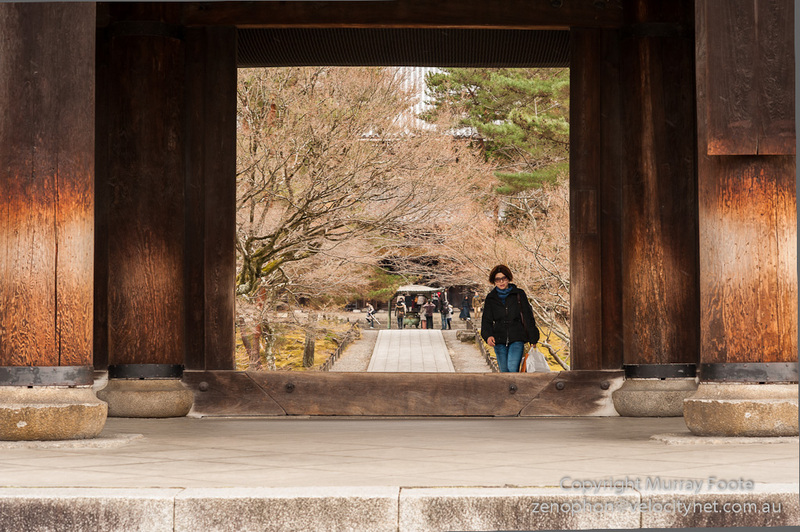 Here we are looking through just the central opening of the massive, two-story Sanmon Gate, which has a famous association with the outlaw Ishikawa Goemon. Though a historical figure, much of his life is effectively mythical. He was said to be a kind of Japanese Robin Hood, stealing from the wealthy daimyo and giving to the poor. He hid in this gate after an unsuccessful attempt to assassinate Toyotomi Hideyoshi (the shogun in all but name) but was discovered in 1593 and executed by being boiled alive. The current gate is said to have been built in 1628 and dedicated to those who died in the civil wars so there must have been a different version in the late sixteenth century. This is beside the main entrance to Nanzen-Ji, an alternative entrance way not currently in use for the public at least. 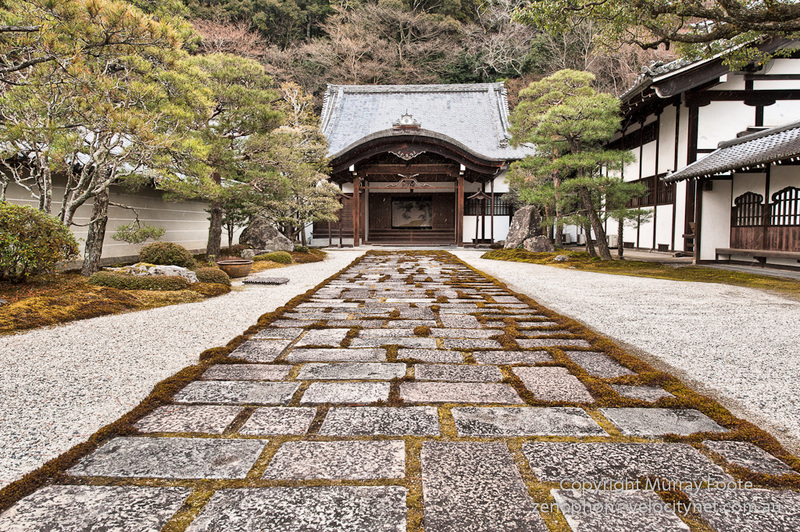 Like Tenjuan Temple, Nanzen-Ji was founded by the Emperor Kameyama and Zen priest Daiminkokushi. It was originally built as an imperial villa in 1264 and donated as a temple in 1291. The original buildings were destroyed by fire in 1294, 1448 and 1467 and the current buildings were rebuilt between 1570 and 1600. It is the head temple of Rinzai Zen. 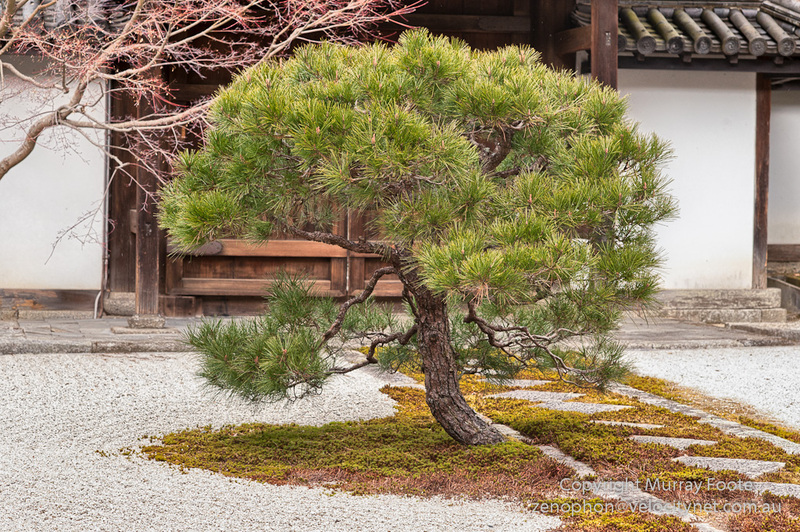 One of the delights of Nanzen-Ji is Toranokowatashi Garden, also known as Leaping Tiger Garden, created about 1600 by Kobori Enshu. I also visited Eikan-Do Temple but no photography is allowed there. 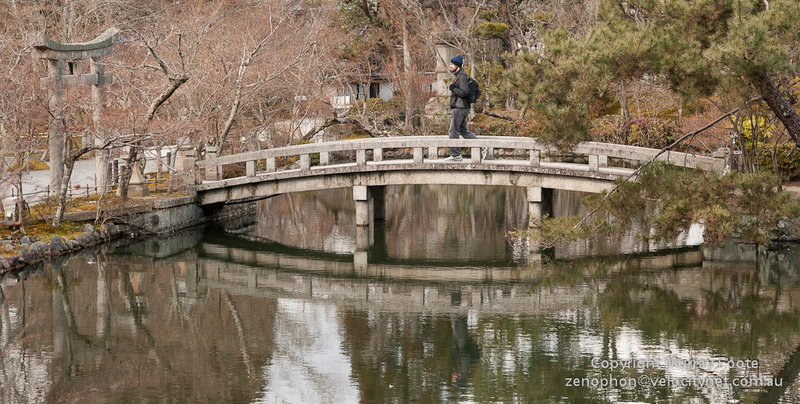 Here is a bridge in the area between Eikan-Do and Nanzen-Ji.